First of all let us explain the title because there have been fans that did not read it properly and they felt they have been misled. 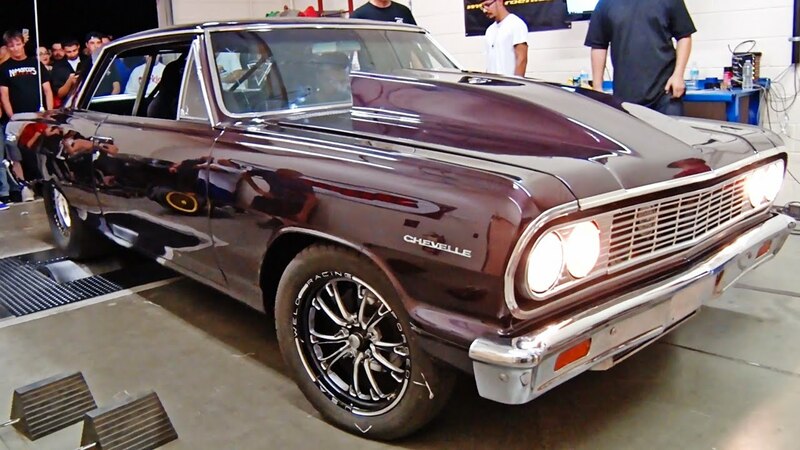 The title is 2,000+ horsepower capable Chevelle SS, and that means that in this video we will show you facts that show you that this is a car which is capable of 2000 + HP, but in the video, it only pulls about 950. The reason for this is simple, this is the first run for the vehicle after being finished and the twin turbo chargers are only pushing about 9 psi of boost, at the moment. After some fine tuning, the boost is planned to be raised to the 24-psi number, which according to this result will be more than enough to push the horsepower number well over the 2,000 hp number. At the moment, let us show you this amazing ride which is featured in the video in a de-tuned setup making close to 1,000 horsepower, so turn up the volume and enjoy the sounds that this thing makes, as it huffs and puffs on that dyno.